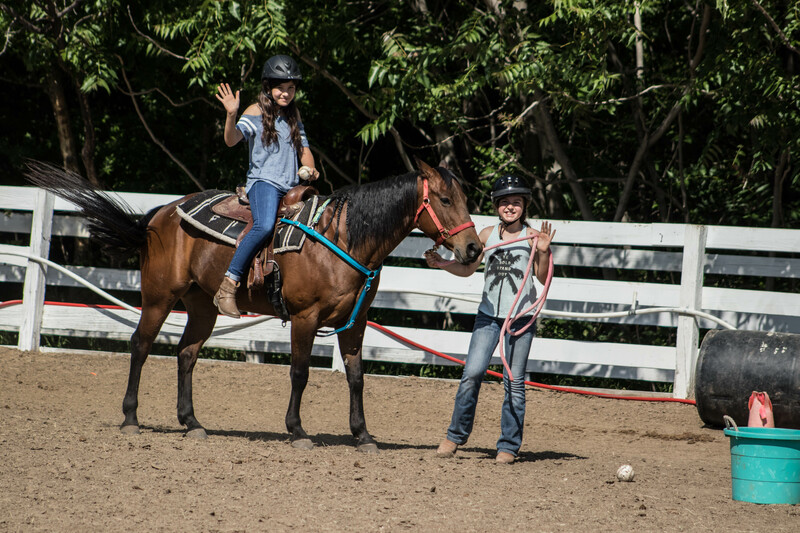 Kids birthday parties are extra special when shared with our four-legged friends. 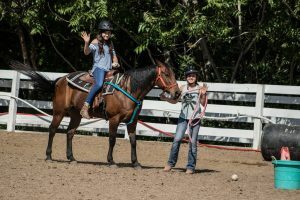 Celebrate with horse rides, games, food and friends – everything you need for an event that’s sure to provide memories all year long. Birthday parties at our facility are booked for a 2-hour time slot. The first hour of your party is spent in the arena for games on horseback. 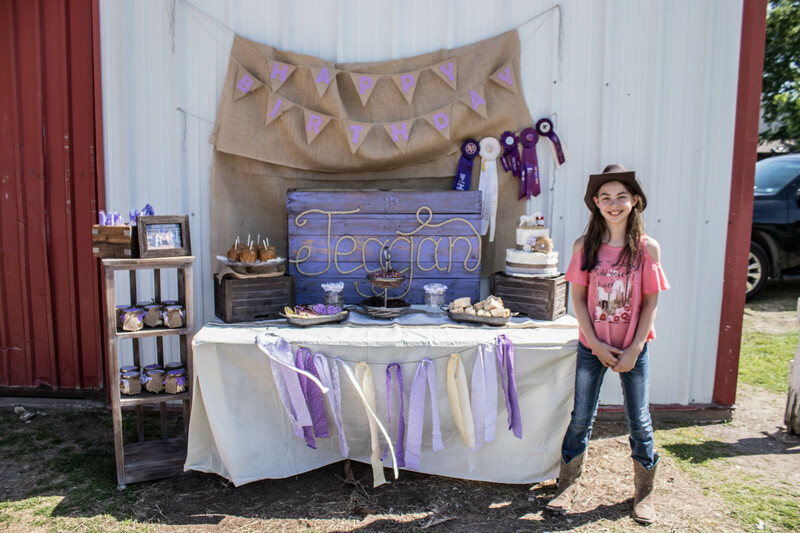 We then hand the reins over to you for cake, presents, pinata, games, food, etc. 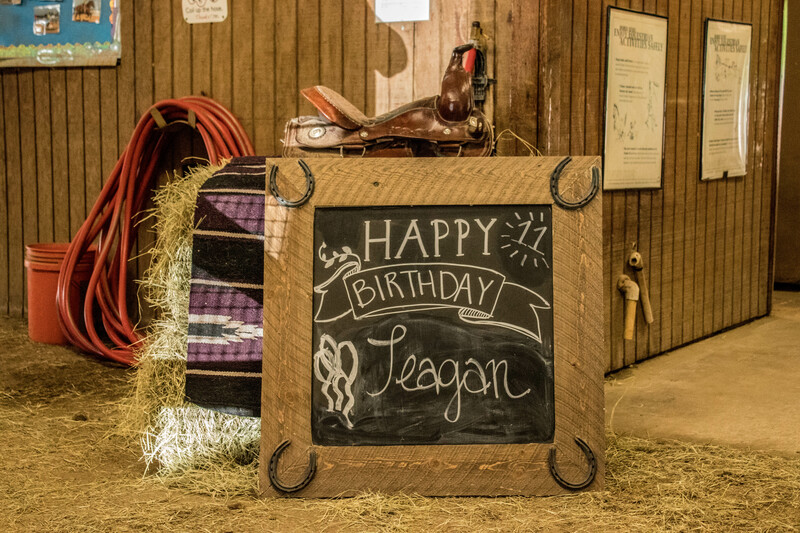 All birthday parties are given use of two horses for the first hour of the party. There is no maximum number of children allowed. 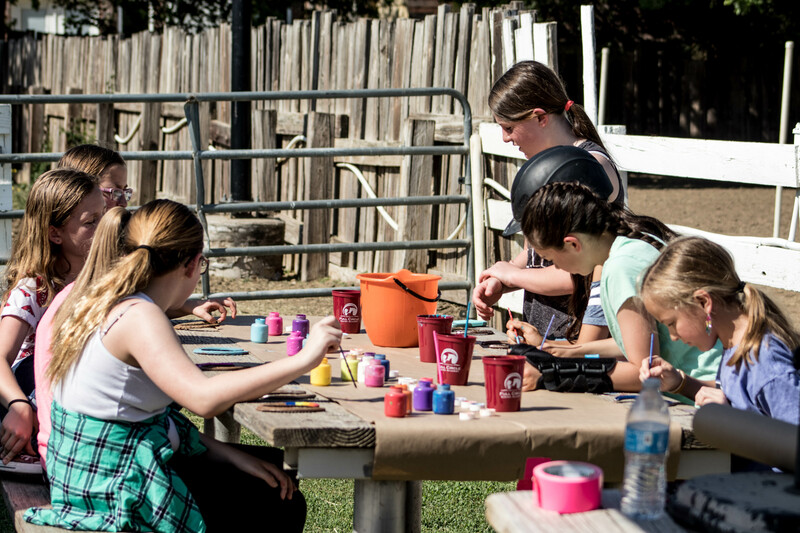 Add one dozen horseshoes for birthday guests to paint while waiting their turn to ride – $75 additional cost. This is a GREAT party favor idea! 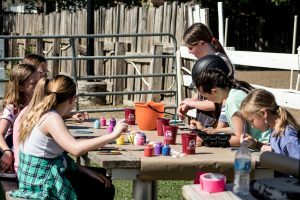 “Paint the Pony” – children can paint hand prints and designs on their favorite pony – $75 additional cost. 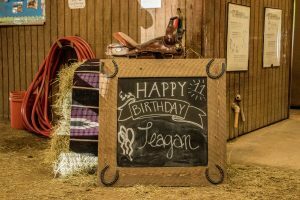 The riding portion of our birthday parties can be themed: Unicorn parties, My Little Pony, Spirit, Shrek, Pink Pony Parties, and Wild West Cowboy parties to name a few! 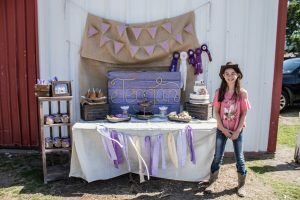 When we adopt your party theme, it is ONLY applied to the horseback riding portion (cutie marks on the horse’s hips for MLP, unicorn horn for a unicorn party, etc.). Please see the schedulicity widget below to reserve a birthday party TODAY! Click on the Event tab on the widget, scroll down to select the date and time you are wanting to reserve, and fill out the required information. You will receive a confirmation email giving you directions for how to pay your deposit. You can also text/call 817-223-6036 if you do not want to try booking online.